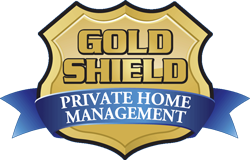 Gold Shield Private Home Management will provide you with the “peace of mind” knowing that your property is being cared for by a dedicated professional. We will tailor our services to meet the individual needs and concerns of our clients. Feel confident in leaving your New Jersey Shore home in the hands of a professional who will act in your best interests rather than depending on friends, neighbors or relatives. Did you know that some insurers may deny claims, or may pay a decreased claim on a home that is vacant or unoccupied for a specified number of consecutive days, typically 30 or 60 days. This is because a vacant or unoccupied home poses a higher risk for damage than an occupied one. Employing Gold Shield Private Home Management will most certainly satisfy your insurance company and keep you in compliance with your homeowner’s insurance contract. Please consult your policy and/or agent for guidance. Single point of contact for all of your property maintenance, repairs, renovations, deliveries, etc. Coordination of service providers and appointment scheduling of cable, Verizon, utility companies, HVAC, plumbing, electrical, cleaning, contractors, maintenance, Fed-ex, furniture deliveries, etc. Sole key holder for your house. No more providing all of your trades, repair and cleaning persons with multiple keys to your home. Gold Shield Private Home Management will coordinate with your people to open the home, disable the alarm and provide them with what they need to complete their tasks. Once they are finished we will return, inspect the home to ensure that the work was done, reset the alarm and lock up. We will then report our findings to you. If you would feel more comfortable that we remain in the home while service providers are present that can be arranged as well. (An hourly fee would apply for anything exceeding one hour). 24/7 Emergency response to alarm(s) or any other emergencies as they arise as long as conditions permit. Gold Shield Private Home Management will register with the local police department as your agent or point of contact. You register us with your alarm company and we will receive those late night/early morning alarm or emergency calls. Of course, we will respond and provide you with our findings. Flush toilets, run showers and sinks monthly to ensure that sewer gases don’t escape into your home. Again, we tailor our services to your individual needs. The above list is just a suggestion. If you have other requests or concerns we are confident that they can be accommodated. If we ever encounter a problem we will notify you immediately and will work to remedy the problem at once.